Centric Concrete Epoxy provides highly durable industrial/commercial epoxy floors and total concrete polishing & staining services. Locally Owned in Lexington KY, our service area encompasses all of central Kentucky including Frankfort, Georgetown, Richmond, Versailles, Winchester and Nicholasville. Where Can Our Epoxy Systems Be Used? Our epoxy and polished concrete floors can be used in most all industrial and commercial applications throughout central KY institutions and commercial buildings. 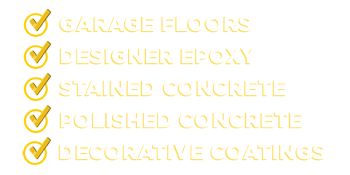 In addition we also provide concrete stamping and staining services. The list below is a short list of the many services we provide! Why Choose Us for your Kentucky Commercial Concrete Flooring? First and foremost, we’re local to the central Kentucky area. Our office is located in Lexington, KY and we are part of the local business community. We use the industries greatest tools and technology to professionally prepare your commercial/industrial concrete surface so that you end up with a state of the art, highly durable floor. Our flooring systems are resilient, practical & last a lifetime, saving all of our customers money on maintenance. If you’re building a new facility or redoing an aged floor, we can provide you with the greatest solution. 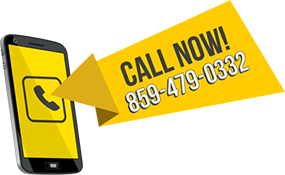 It’s simple, call us at 859-479-0332 to schedule a free quote or use our onsite CONTACT US form. Not all floors are alike, we offer many professional options on different types of concrete floor products that will be successful for your scenario. Afterwards we can provide an accurate estimate on cost that is detailed in what materials we’ll use and the overall scope of your project.